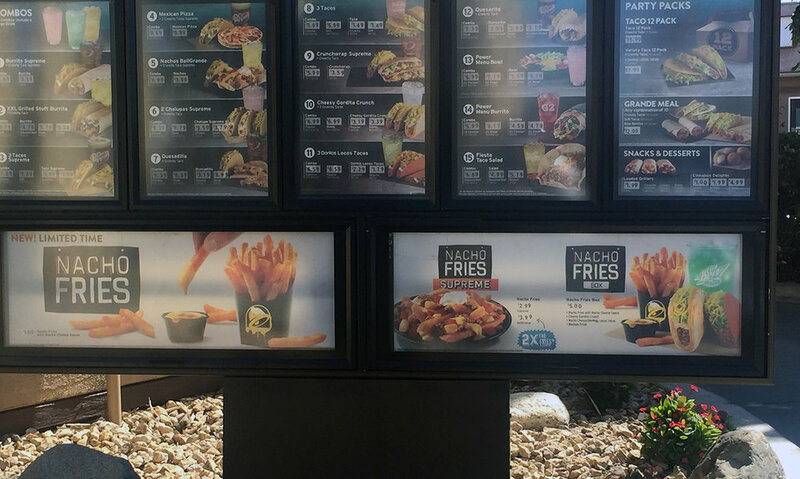 Taco Bell was ready to test and launch their newest product: Nacho Fries. The design team developed all visual designs, with the goals of introducing the audience to a new product (Fries! At Taco Bell! ), while integrating with the existing brand style and setting an exciting tone for the overall customer experience. I had the amazing opportunity to sketch concepts and layout options to express our keywords of New, Innovative, and Fun. 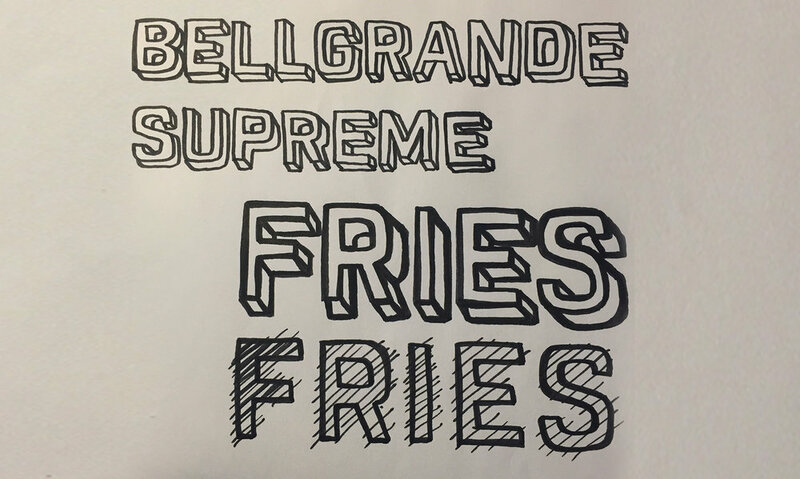 Our Art Director, Alex, and I created hand-drawn typography for the campaign for a unique look-and-feel. We put together a shot list for the photography session and art directed the session. Our Marketing team shared analytics of the best placements for “Limited Offers”. New products were best promoted by taking up an entire block of the menu, without interfering with the Dollar Menu, to accommodate for repeat visitors. For promotions displayed through the drive-thru, they were best displayed on the bottom of the menu board to grab attention. Keep type size large enough and legible to be easily read from 5 ft. away. Test the designs on a backlit board to confirm color vibrancy of the photos and typography readability. After our designs passed these requirements, the work was presented to the in-house Marketing team. I advocated for the full in-restaurant and drive thru experiences: From driving or passing by Taco Bell, interacting with team members, to eating the last bite and throwing the trash away. This user-centered approach helped me explain our design decisions to team members. 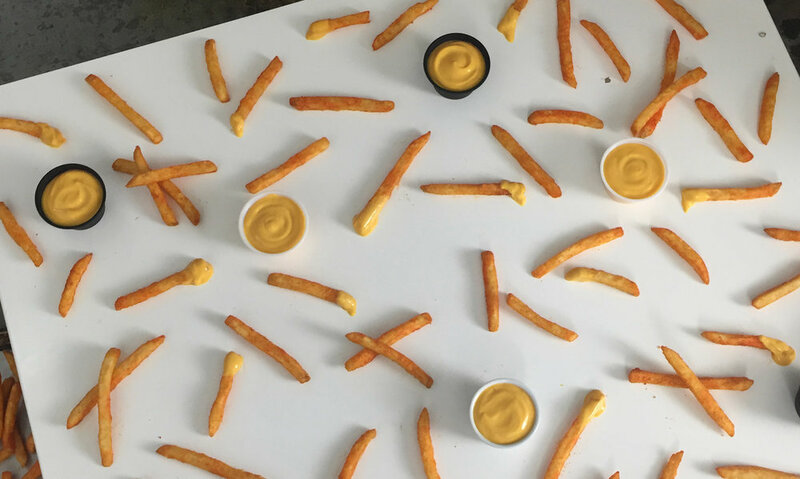 Ultimately, the teams agreed on a white background because it helped keep the focus on the seasoned fries. The reversed-out title treatment helped with hierarchy and readability. The team’s efforts helped succeed expectations: Nacho Fries became Taco Bell’s best selling product! 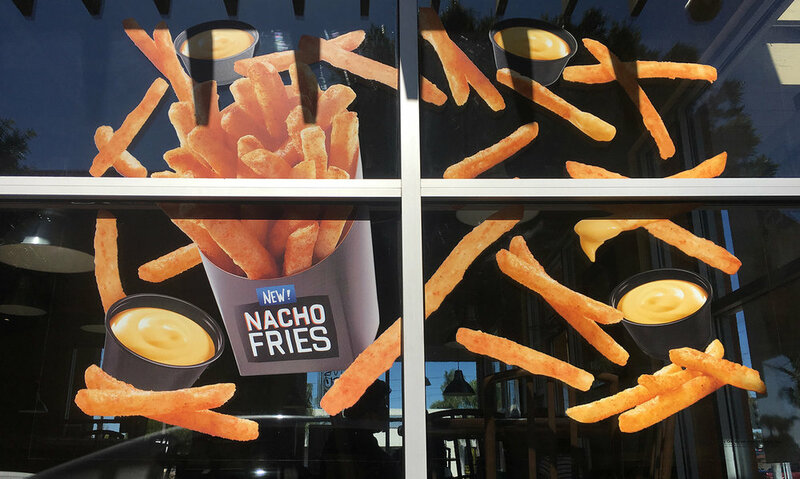 Our designs were used during a projection sequence for the Nacho Fries campaign TV spots. Credit goes to creative agency, Deutsch Inc., and production company, Reset, for developing an amazing ad campaign! The Marketing team provided circular feedback to change out the background color. I learned to take the approach of “asking ‘Why’ five times” to get to the root of the issue. We learned that all of the strong background color options in the design (to exhibit “Fun”) were competing with the prominence of the product. We ended up utilizing a white background and adding realistic shadows so the focus of the design was on the product. Designers: Charlene C. and Alex F.
Art Directors: Brittany B. and Alex F.